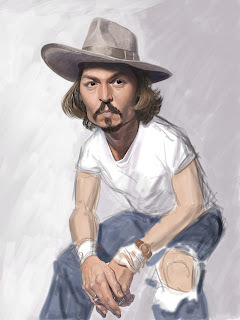 Looks like Johnny's back on the map with his performance in Sweeny Todd which I haven't had the opportunity to see yet. 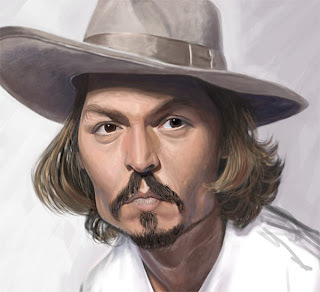 Started roughing out a digital paint of him...like Denzel, he seems to be a tough capture. 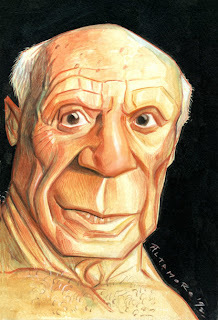 Just felt like throwing up another old piece...a gouche caricature of Picasso done in another millenium for my sketchbook.